All of your Mac and iOS questions and rumors can be answered! How? Easy! Just ask a teenager! What's better? Ask an Apple Certified teenager! Ask me! Alex! Writing once every single day since 2012! One month less a day ago, Apple News+ was released to the public where they could start a free, one-month trial. For those who aren't satisfied with the service or who don't want to be charged for it, you should cancel by tomorrow if you started as soon as it came out. As soon as you cancel, you'll lose access to Apple News+. To do this on iPhone, go to the Apple News app, go to the Following tab, tap "Manage Subscriptions," and tap "Cancel Free Trial." Then, just follow the prompt and you won't be charged. There have been a lot of criticisms of the service, and I think Apple needs to make improvements before they can really start bragging about it. I don't think the concept is terrible, but the execution was pretty far from hitting the mark for me. Powerbeats Pro will be launching in May, and it has a lot of similarities to the iconic Apple AirPods. Given that both are owned by Apple, they are marketed to different audiences. Powerbeats Pro is geared towards fitness while AirPods is for any activity. The two designs are reflective of this. Powerbeats Pro hang on to your ears better, have noise isolation, have physical buttons for volume control and playback, and have water resistance. AirPods is much more geared toward convenience. It has an iconic design, each AirPod can be quickly put on, and has optional wireless charging. This all being said, AirPods can be used for workouts and Powerbeats Pro can be used for casual listening, but it's not as optimal. AirPods are quick to put on, which shows it worth if you listen to music between appointments and meetings, while Powerbeats are best enjoyed during a long workout. I think that AirPods will eventually receive features that make this completely one-sided, but for now, the choice is debatable depending on your situation. Days before its official release, Samsung has made the decision to delay the Galaxy Fold. The phone was sent to reviewers with many finding it had problems that would cause the phone to become unusable, seemingly due to the folding display. It was due to release this Friday, but Samsung has told CNBC that they will announce a new release date in a few weeks while they try to fix the issue. The scary thing is that this seems to be a hardware issue rather than a software issue, meaning many phones were already built and will go to waste. At this point, Samsung's move is the best move they could make, but it's hard to believe that a $2,000 phone is suffering from such an issue. This could be a glimpse as to how AirPower's release could have gone had it not been canceled. Those who had the chance to demo AirPower in 2017 say it often didn't charge devices properly. Imagine if it was released and it didn't work properly most of the time or if it overheated and posed a safety threat. It's a rarity to see tech companies make moves like this due to the quality of a product, but when they do, it's important to learn from it, for both the company and its competitors. Apple used roman numerals starting with the iPhone X. It seemed appropriate for the tenth anniversary of the iPhone, especially given the radical design change. Then we got the iPhone XS and iPhone XS Max. These are the eleventh iPhones, but the XS and XR convert to nothing using roman numerals. That's fine, since they're essentially just slightly better versions of the iPhone X. The issue is that most people refer to them as the "ecks-S" and "ecks-R" instead of the "10S" and "10R" respectively. With rumors of an iPhone XI (iPhone 11 in roman numerals), this gets way more confusing. Will the successor be named the iPhone XIS? Beauty lies in simplicity. The single number was very clear, and adding an "S" to the end communicated an improved version. But with all the different variations of iPhone today, the public doesn't want to waste their time trying to learn the naming scheme of the iPhone. It's an annoying nightmare that we hopefully don't have to deal with in the near future. Could Siri Shortcuts Replace Automator on macOS? Siri Shortcuts always seemed like an iOS version of Automator from macOS. Automator has served as macOS's application for creating workflows. According to 9to5Mac, Siri Shortcuts could come to macOS, but that seems weird to stand alongside Automator, possibly suggesting that Siri Shortcuts could replace Automator. If that happens, and Automator is completely deprecated, it could ruin some people's workflows. If Apple decides to do this, it could have consequences who still use Automator. I think it's important if Apple finds a way to preserve Automator functionality in Siri Shortcuts. I'd like it even better if Apple removed Siri Shortcuts all together. They're so confusing and the execution is pretty terrible, at least from my experience. Siri's lines are awkward, remembering and summoning a shortcut is more difficult than doing the task yourself, and a lot of obvious commands are missing. This is not how the future of Siri should look. There have been a lot of rumors suggesting that Apple would re-enter the display market this year. Apple officially stopped making displays in late-2016, with the introduction of the MacBook Pro with Touch Bar and the LG UltraFine Display line. Apple and LG had a special partnership to create the UltraFine lineup specifically for the MacBook Pro. On Apple's site, the LG UltraFine 4K Display has been sold out for some time, but today, Apple removed the listing from their site. The 5K model remains on the site. This seems to either say that LG is discontinuing their UltraFine lineup or that Apple is ready to launch a new display, which seems more likely. Apple could do a lot of interesting things with this model. Yes, it could just be a new display with USB-C and fancy images. But it could be a lot more. There could be AirPlay 2 integration or a wireless charging spot on the base. With Apple's focus on continuity, a new Apple display could be more than just a display. I've had Tiles since the very beginning. I remember when they were crowdfunding a crazy new product that would help you find what mattered most, and they still thrive today. The Tile has evolved quite a bit, with different variations and rechargeable models available today. According to 9to5Mac, Apple may be working on a similar product that would integrate with iCloud. The rumor suggests that Apple could merge Find my iPhone and Find my Friends into a single app, along with functionality with this new tracker device. I think it would be cool to see how Apple makes this accessory work. Would it have wireless charging? Can Siri ping the tracker for me? Will it last a long time? I feel like it would be called the AirTag or AirFinder. If Apple does this right, it could be a great addition to Apple's lineup. I truly am interested in how the future of foldable phones will play out. After the fall of modular phones, it can come down to selling a futuristic product and seeing how the public reacts. However, it seems that multiple reviewers are facing issues with the Samsung Galaxy Fold after just days of use. Issues revolve around glitchy or broken displays that do not seem repairable. Mark Gurman was one of the journalists affected by this issue. He made an interesting find. "The phone comes with this protective layer/film. Samsung says you are not supposed to remove it. I removed it, not knowing you’re not supposed to (consumers won’t know either). It appeared removable in the left corner, so I took it off. I believe this contributed to the problem." A removable film may seem normal for most smartphones, but a removable film not made to be taken off is weird. You'd think Samsung would be more clear about this. It's still not clear if this is the exact cause of these weird issues. For a while, Apple and Qualcomm have been quarreling in legal issues, which has been resolved today in a settlement. This settlement has more implications than you may have initially thought. Apple was thought to be using Intel's 5G chips for their 2020 iPhones, but shortly after this settlement, Intel announced that they are exiting the 5G chip market, likely due to this settlement. Apple will likely go with Qualcomm's 5G chips in this light, which, in my opinion, is a win for consumers. Intel is likely a big reason that this year's iPhone won't have 5G capabilities. At this point, it's probably too late for Apple to use Qualcomm's 5G chips for this year's iPhone. With Mozilla's recent petition to get Apple to change how advertising identifiers are enabled out of box, here's a quick rundown of how to get advertisers to track you less. On iOS, go to Settings > Privacy > Advertising > and enable "Limit Ad Tracking." On macOS, go to System Preferences > Security & Privacy > Privacy > Advertising > and check the box for "Limit Ad Tracking." Every once in a while, I also recommend hitting the "Reset Advertising Identifier" button under the "Limit Ad Tracking" button on both iOS and macOS. This should help limit advertiser tracking. The other day, I opened my Desktop folder and Finder had a minor hiccup where it hung for about 5 seconds. In those five seconds, it showed the infamous "Beach Ball of Death." After it disappeared, my day went on as normal. This is rare for a typical Mac, but it made me think of Windows. In Windows 10, without fail, opening my Downloads folder will result in the same hang, often for around 15-20 seconds. But instead of an indicator that says something is out of the ordinary, the window just says "Working on it..." And I think that one difference can speak volumes about the differences in macOS and Windows. The Beach Ball of Death occurs when something is out of the ordinary, while "Working on it..." is an office worker before they've had their morning coffee. It leads me to believe that this is something that Microsoft knew the user would encounter often. Maybe not. Maybe my PC is just slow, but I now have to assume that the average user will face this screen often. I think it's a bit ironic that the rarity of this in macOS is what reminded me of how often it occurs in Windows. macOS is so quick with it, you don't even realize it could hang. There are times where you need to copy multiple pieces of text on the computer. For example, one window may have a quote while another window may have a citation, and you need to paste both in another window. It can be annoying having to switch to window A, over to window C to paste the first text, then to window B, and back to window C to paste the second text. Instead, with macOS, you can go from A to B to C and have the same result. To do this, copy the first piece of text and open Spotlight with command-space. Paste it in Spotlight and close it with command-space. Then, go to window B and copy the next string of text. Now you can go to window C and paste window B's text, open Spotlight and copy the text from there, and paste that into window C as well. While it may seem like a pretty unique circumstance, I find myself doing this constantly with programming. I hope this helps! With the recent news on Disney+ and Apple's announcement of Apple TV+, I hear more and more people saying they're tired of the "streaming revolution" because it's ending up to be more expensive than cable. YouTube TV, Hulu, Netflix, and Crunchyroll are seeing subscription fee increases while regular cable TV with on-demand remains the same. YouTube TV is most notable, as it is now moving up to $50 a month. At that point, just stick with cable. You'll have basically the same service, except without the reliance on the internet. And you'll still be able to connect your cable subscription to all your favorite on demand apps for internet streaming. I think people are going to see this streaming bubble pop very soon and will take one of two routes. Either stick with cable or just cut the cable and switch to YouTube. I almost exclusively watch YouTube and most people my age I know feel the same way. I'm sick of keeping track of how many times I pay a service $9.99 each month and seeing it add up to a colossal amount. And with that, I think it's easy to see why I give a sigh with the magnitude of a major underwater seismic event when I see Apple announce three subscription services in one day. Of course, the only big difference with Disney+ is that Disney owns a third of the film industry with beloved properties that span multiple generations. I think it will be interesting how all of this plays out in the next year or two. AirPlay 2's main feature is the ability to control many different devices at once from one device. On iOS, it's in Control Center. However, there is a hidden AirPlay 2 menu on Apple TV. You can access it by holding the Play/Pause button on the Apple TV remote. You have to hold it for around five seconds, so just keep holding it. From here, you can view other AirPlay 2 devices and the content they're playing. I actually discovered this on accident, but it's a well-hidden feature. I hope this helps! We have further evidence that Apple will be splitting up iTunes into individual Music, TV, and Podcasts apps. We know from Apple's service event that the TV app will be coming to macOS, which is heavy evidence by itself. However, thanks to 9to5Mac, we have a look at the icons of the TV and Podcasts apps. The icons are below and they look just about how you'd think they would look. I personally don't use Podcasts too much, so I'm more interested in the Music app for macOS. It's pretty uncommon to see a price drop on current Apple products. The closest you'll really see for current-generation products are if they're refurbished or for an education discount. However, it seems that even Apple can't deny that you can't sell HomePod in its current state for $349. They've dropped it down to $299, down $50. While this is still too high in my opinion, it's definitely a step in the right direction. If Apple lowers the price, retailers will lower the price even more, possibly lowering it to an acceptable price eventually. Netflix has stated in a support document that AirPlay is no longer supported due to a technical limitation. When speculation of Netflix doing this in retaliation of Apple TV+ arose, a Netflix spokesperson stated that it was due to AirPlay rolling out to third-party TVs. Because they couldn't tell the difference between being AirPlayed to an Apple TV versus a smart TV, they disabled it. This is likely to restrict unauthorized recording on a third-party device that does not protect content from being screen captured. Netflix won't even allow users to take screenshots during playback. That being said, it could be for both this and a slight jab at Apple TV+ as well. I bash a lot on the HomePod and often compare it to the Google Home and the Amazon Echo. I think a lot of people see it as a failure that has a lot of obvious flaws. It's easy the point out the obvious when it comes to HomePod and its competition. So, in the smart speaker market, Apple is floundering compared to its competitors. But things get interesting when we look at the opposite of a smart speaker: smart headphones. AirPods has been absolutely dominating this market, becoming an icon in modern culture. AirPods are instantly recognizable and have had constant press for the two years they've been on the market. Meanwhile, it's hard to name one single competitor. With rumors of Amazon potentially making their own competitor, it will be interesting if they will take off like the Amazon Echo did, or flop into an endless sea of AirPods competitors. Gina Priano-Keyser is filing a class action lawsuit claiming that Apple Watches are subject to having their batteries swollen, ultimately causing the screen to pop off [Source: MacRumors]. The lawsuit states that this could pose a safety issue to consumers. Apparently, Apple was supposed to repair these for free for up to three years after purchase, but supposedly attributes the damage to an accident, which voids the offer. This issue actually happened to my first generation Apple Watch last year. I was sitting in a chair and I suddenly heard a loud pop come from my wrist and the screen had popped off. It occurred on July 8, 2018 and I had received my watch in early June of 2015, so the three year deadline was gone by then. When I took it into the Apple Store, I was told that it was likely due to a swollen battery and that it would cost about $100 and take 5 days to fix. 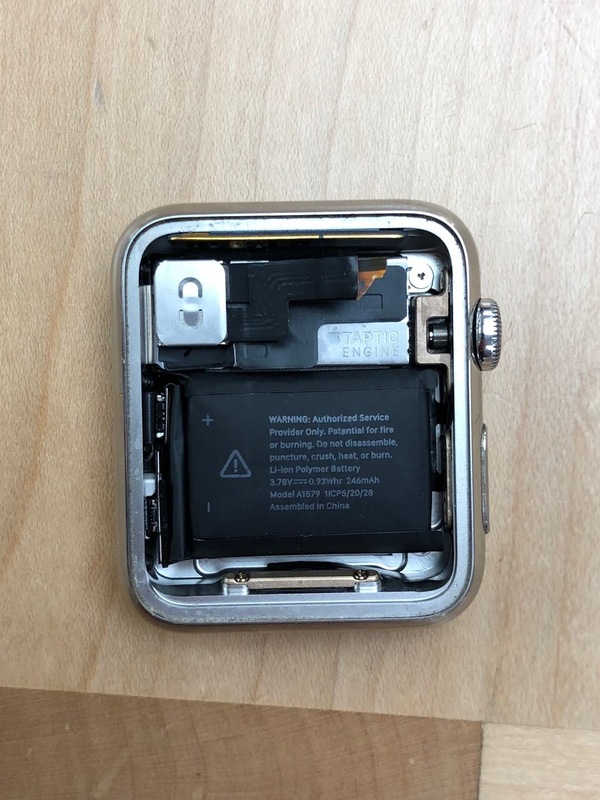 They ended up replacing it with an Apple Watch Series 1 (instead of first generation) with an aluminum case. I gave it back stating I had a stainless steel case. A few days later, I got a refurbished original Apple Watch with a stainless steel case, but then they overcharged me by about $150. After they realized they made an error, they sold it to me for $80, since it was a refurbished replacement. Overall, it was a frustrating experience that went in a lot of circles. If people really were injured due to the swollen battery, I can only imagine how much more frustrating it was for them. Apple should find a way to properly address this issue and do more testing as to what makes these batteries swell. iTunes has had an identity crisis these past few years, and hasn't done the best job at integrating with Apple Music. It's not bad, but it certainly could be better. With the announcement that Apple will be bringing the TV app to macOS, it only makes sense to have Music and Podcasts apps as well. And it would make sense with the new UIKit functionality being implemented in future versions of macOS. Steve Troughton-Smith on Twitter says we have reason to believe this will be the case. Based on public evidence, it makes perfect sense, and I'm open to it. That being said, breaking up iTunes would be the end of an era, as it revolutionized how we listened to music alongside the iPod, even if it will be there in spirit for the Music app. © 2012-2017 Tech Talk 4 Geeks. Simple theme. Powered by Blogger.